A booking deposit of one night’s accommodation rate is required at time of booking. A 3.5% credit card surcharge applies to all transactions paid by credit card. All rates quoted are in Fiji Dollars unless otherwise stated. In the event that Nanuya Island Resort is unable to confirm your reservation, we will attempt to find you a room at a comparable hotel and rate. In the event that this cannot be arranged, your funds (if prepaid) will be reimbursed. An electronic receipt will be issued to you after each deposit and/or final payment. This receipt will be your proof of purchase and should be retained for your personal records. Nanuya Island Resort is not responsible for any variation in exchange rates that may occur through the period of your reservation and arrival. Rescheduled booking can only be applied on space availability basis. Should a booking be rescheduled and not eventuate, the above rules of cancellation will apply. 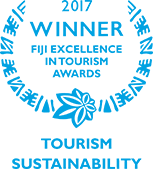 Important- Travel throughout the Fijian Islands is subject to climatic conditions, weather events and boat / transfer issue beyond our control. We recommend all travellers to Nanuya Island Resort purchase the appropriate travel insurance to cover as many of these possible situations. Should circumstances beyond our control affect your ability to arrive and take up your booked accommodation, we will not offer refunds for accommodation, meals or transfers. Should any type of unforeseen circumstance prevent you from utilizing any form of pre-arranged transfer, this is outside of Nanuya Island Resort’s control although every effort will be made to assist and find alternative options to suit. Tender boat transfer to and from Nanuya Island Resort to Yasawa Flyer OR PIA Seaplane is included in the rates. Transfers to and from Turtle Island Resort for Turtle Airway Passengers, and transfers to neighbouring Island resorts incur an additional fee per person. Transportation to Nanuya Island Resort is generally via Yasawa Flyer (fast ferry) or seaplane. Nanuya Island Resort does not accept any responsibility for any failure on the part of the guest to meet any scheduled departure times. Transfer times are restricted and publicised. Due to these restricted transfer times, same day connections between Nadi and Nanuya Island Resort may not always be possible. Overnight or dayroom use in Nadi, before or after a stay at Nanuya Island Resort is at guest’s own cost. Contact our reservations department and they will assist with organising your transfers to and from Nanuya Island Resort for you. If you require assistance for your pre-stay and post-stay accommodation, this can also be sorted by our reservations department. Families with children 7 -12 years are welcome. Children will use existing bedding (day bed) will be charged $75 per child per day subject to availability. Every effort will be made to have guests checked into their accommodation as soon as possible after briefing. Unless prior arrangement has been made Check In time is 2pm while Check Out is at 11am . We ask that all guests have finalised their account by this time with our staff. Early check in is on request only basis while a late checkout is also on a request basis only. We will accept requests for specific villa or bure types, however we are unable to guarantee such requests. 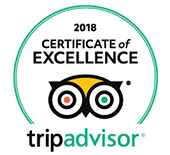 Accommodation assignment is based on the check in/out of the day, however we will of course do our best to get you into or as close to your requested villa as possible. A Tropical Continental Breakfast is included in the room rate. Tropical Breakfast – cereals, fresh fruit, toast & freshly baked pastries or pancakes (choice varies daily), fruit juice, tea and coffee. Additional breakfast hot options are available for an extra fee. An A la Carte menu is available for lunch and dinner at the Iguana Bar & Restaurant. Prices will be listed on the menu. Bar snacks are available throughout the day. Please note that a booking can only be guaranteed when the appropriate deposit or full payment has been received (including Government taxes) unless prior arrangements have been made and agreed. The stated prices do not include any services or activities not specifically mentioned as being included (either in these terms and conditions, Nanuya Island Resort rate sheet or brochure), such as meals, scuba dives, boating, fishing trips, other chargeable activities, international airfare, airport taxes, excess luggage charges, personal incidentals, purchases from Nanuya Island Resort Boutique Shop and communication charges. All guests will be required to complete a Guest Registration form and have passport and credit card details recorded upon check in. Nanuya Island Resort reserves the right to cancel any booking which does not comply with our Terms and Conditions.